Home » » Blackface says he still loves 2face. 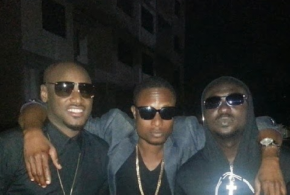 Blackface says he still loves 2face. It is reported that Dancehall king and ex-member of the Plantashun Boyz, Austine Obiabo Amedu, otherwise known as Blakface has expressed undying love for his estranged band mates, Faze and his kinsman, 2face Idbia.